All accessories P & P costs now are regulated by independent companies where size, weight and value of the item (s) determines charges. Packing costs are dependent on the product and destination EG international. 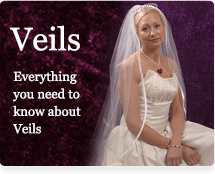 Tiara and Veils – all veils and tiaras must be insured or sent by RM special delivery. We are very client cost aware and will contact clients to discuss individual delivery requirements. Apart from Royal Mail we will use other companies such as Hermes, City link and UPS. Insurance for your product is dependent on the value, size and weight of your purchase. Costs are now quite competitive. You can decline to purchase insurance (you are asked to email us with this request) but PGD will not be held responsible for loss or damage of your purchase. Special delivery – Royal mail pricing is regulated by The Royal Mail service and costs now vary according to value, size and weight. Their pricing may be viewed on the RM website . Please Note: Saturday delivery is now an additional £3.00 on the standard price. All RM Special Delivery orders must be placed before 4 o’clock to ensure that it is posted out the same day. This delivery is guaranteed to reach you by 1 O’clock the next day. We will telephone you on order completion to discuss which option you prefer. If required, we can offer an option of courier service. We strive to give our customers the best deal and value for money therefore we are continually researching alternative delivery & postal providers for our customers. All Accessories & gift items will be sent 1st class, Recorded delivery, Special Delivery by Royal Mail or alternative postal provider as appropriate, and agreed. Delivery usually takes 2-6 working days and will be tracked. A signature will be required for proof of delivery, therefore please ensure you select a delivery address which is most convenient for you. For orders to be delivered to European or Southern Ireland destinations you can place your order online at a cost of £9.99 for the postage (this can change with postal price rises determined by the companies but we can discuss your requirements). For International deliveries please contact us for details as the postage costs vary according to weight. Stock availability may be dependent on external suppliers outside of our jurisdiction and may incur delays. We will try our very best to fulfil your order within a specified time scale. Postage and packing costs are subject to delivery companies independent pricing.